EA CEO John Riccitiello defended his company's new Online Pass initiative, saying that these days development work wasn't finished "when a game ships." Last month, EA unveiled its new Online Pass plan, which was essentially EA Sports' version of the Project Ten Dollar initiative: Gamers who buy used copies of the EA Sports titles must pay $10 for a pass to play multiplayer online - the same pass comes in new copies of the game, free. Most people assumed that, like Project Ten Dollar, this initiative was designed to either curb used sales or to allow EA to actually see some money for transactions. EA responded that the goal of the Online Pass was to offer more value and content for online users, not to curb the used market - a statement which had pretty much everyone reading coughing into their fists. 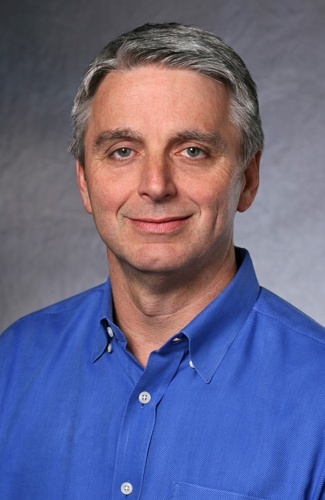 Speaking with IndustryGamers, Riccitiello emphasized his support for the system when asked whether or not he thought that comment was "disingenuous." Ten years ago, five years ago, we'd gold master a game, the dev team would move on to something else and no one was there. Today, what happens with a game is a team is there where you [use data] to improve it, provide great post-release content, new services like we did with FIFA and Madden recently with Ultimate Team. I mean the project is only half done when we ship it. It keeps going. We're selling services ... We're going to prove that what we say is not disingenuous. That said, Riccitiello admitted he understood why people were skeptical of anything that came out of the mouth of publishers - that some gamers were "people that carry a cynicism about publishers in general, and they're always going to." When asked what he'd tell a gamer who bought the latest Madden or FIFA used only to find that he had to pay an extra $10 to play online, Riccitiello answered: "Well, we thank you for your business. You didn't used to be a customer of ours, and now you are. We're going to prove to you that that ten dollars is exceptionally well spent." If you have time, the whole interview is well worth a read, covering multiple topics like what's coming at E3 and the highly-publicized Activision/Bungie team-up. Riccitiello certainly sounds more candid and gamer-ish than certain other CEOs I could name, but then again that's part of his job, isn't it? Regarding the Online Pass thing, though ... I have to say that I think he's both right and wrong. On the one hand, yes, it's true that the advent of DLC means that developers can continue supporting games after release. There does come a point during development where literally no new content can be added, and at that point the developers either move on, get fired, or sit around doing nothing - why not put them to work? And supporting a game after its launch is work that they deserve to be paid for. So in that regard, Riccitiello is absolutely correct. On the other hand - come on, dude. Everybody and their dog knows that even if the Online Pass wasn't designed specifically to curtail the used game market, that's certainly going to be an ancillary effect of the whole thing. Just be straight and say "Yeah, we'd like to see some money off of used game sales, that'd be nice," and people would buy it a whole lot easier.